Single strap back quiver. This is an economic back quiver with a roomy arrow storage area. It has real white tail deer antler button and artificial sinew string pocket closure. This quiver is dyed black and has a strong adjustable buckle and strap. 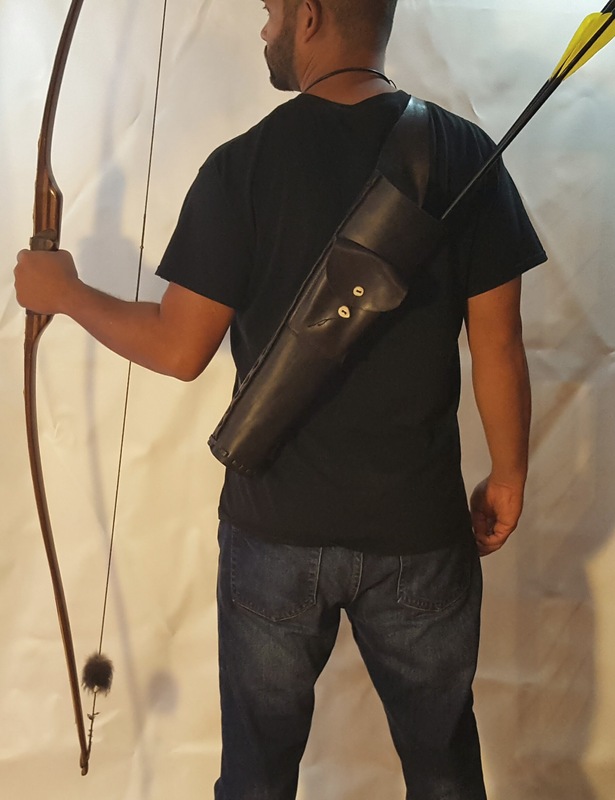 Single strap all leather back quiver. This is an economic back quiver with a roomy arrow storage area. It has real white tail deer antler button and artificial sinew string pocket closure. 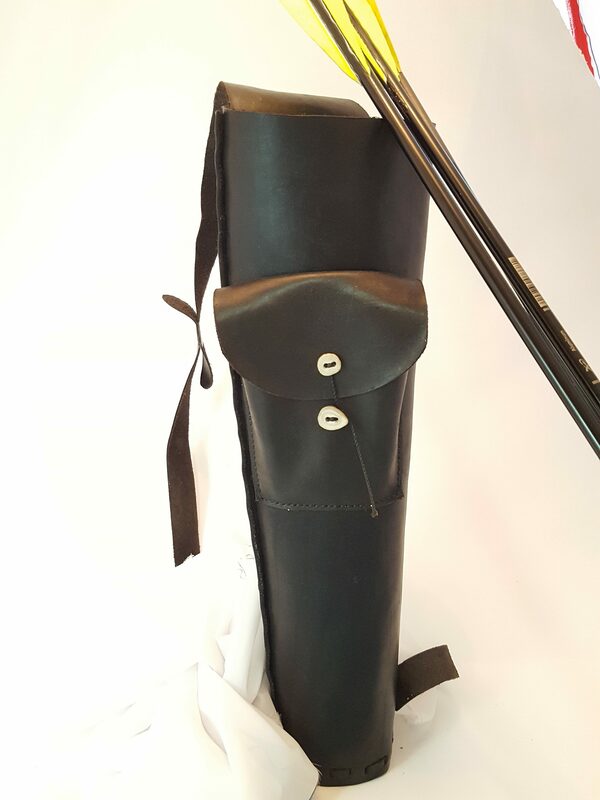 This quiver is dyed black and has a strong adjustable buckle and strap.